In this episode of George to the Rescue, see how George Oliphant transforms the attic of the Nazario family’s home into a safe multipurpose space. Home is a safe place, a refuge. But what if your home was the very thing making you sick? Andrew Nazario, an energetic 5 year old, has had asthma since he was 4 months old. His lungs have difficulty adjusting to changes in weather and with an unfinished attic space, maintaining the heat in the Nazario home was nearly impossible. That’s where George Oliphant of George to the Rescue came to the aid of the Nazario family. By transforming the unsafe attic into a multipurpose space, the Nazario family not only gained extra space, but peace of mind. 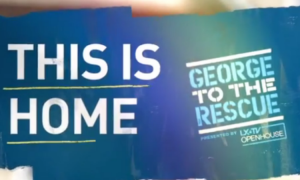 Learn what home means to this very special family in the video below and see the complete transformation in the full episode of the NBC George to the Rescue.